This year I was really lost for a costume idea and I decided I wasn’t going to dress up, but then I thought I would just do a cool hairstyles. 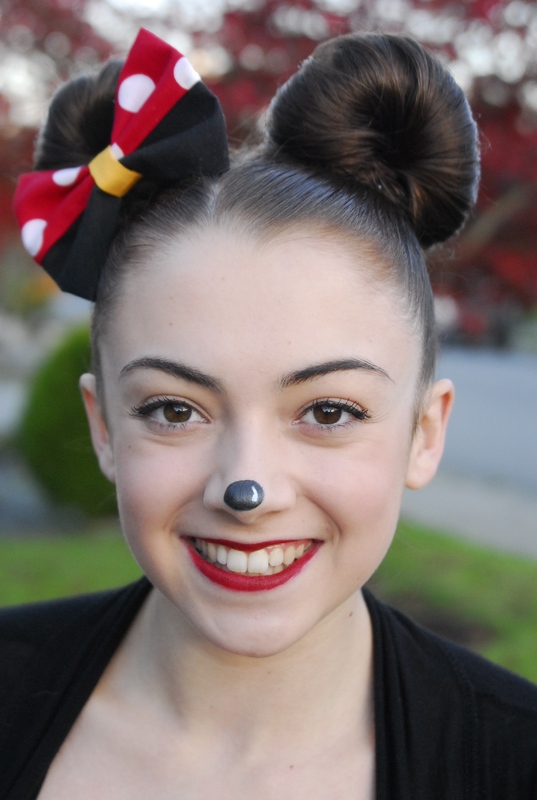 When I found this Minnie Mouse bun tutorial I remembered I had the perfect dress and it would be a great quick DIY costume 🙂 The hair took some practice (who knew that pig tails would be so hard lol) but after I figured it out I loved the result! My dress I got second hand about a year ago, and then I paired it with a black cardigan I had in my closet and with some black tights! I also drew on my nose with some black eyeliner and added a white line with some face paint. As you can see it is super easy to come up with a costume from things you already have and It doesn’t need to come from a store and cost 80$, all you need is a little imagination and creativity 🙂 My dress isn’t an exact match for Minnie’s, but thats okay because thats where your creativity comes in and you can make it your own!